Rosemary Saxon is a courageous, unconventional and stubborn woman who served as a nurse during the Civil War. Her past has caused most women in town to view her as unfeminine and even downright vulgar. Despite the fact that she would like to leave that part of herself in the past, she needs a way to support herself and this is all she knows beside herbs and their healing powers. So she gets a job as a nurse at the handsome new doctor’s office, but every time they’re near each other they clash and Rosemary struggles to hold back her flaming temper. Doctor Elijah Stewart moved away from his father’s past to the small town he now calls home and just wants a quiet life completely different from his father’s. When Rosemary comes in wanting a nursing job he figures she would come in handy. Little does he know how she will turn his life upside-down or how she will make him question things about his life and his beliefs. Or how she will make him view a future with her in it. As their attraction for each other grows, a man threatens Rosemary. The bolder he gets the more Rosemary must rely on others, a thing she isn’t good at and stand talk when all she wants to do is run away forever. Elijah must decide if he wants a quiet life with Rosemary or a fast life in his father’s practice and a woman that wants him for his title. He must also show Rosemary that letting someone help you doesn’t mean charity but love. Will Rosemary leave nursing behind or will she find that she loves it way too much to give it up? Will Elijah and Rosemary fall in love or will life and circumstance get in their way? Will Elijah be able to convince Rosemary that love means letting someone take care of you or will Rosemary forever want to do things herself? Will Elijah choose Rosemary over fortune or will he choose money over his values and the woman he could see himself spending his life with? 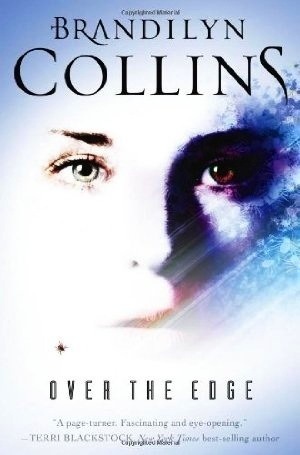 I read the first book in this series and enjoyed it but it wasn’t one of my favorites. I decided to read this one because I wanted to finish the series but I hoped that maybe this one would be better than the first. My hope was a reality. The author definitely improved on storyline and execution in this new installment of the series. However, the book wasn’t perfect, but compared to the first in this series, it was a huge improvement. The romance in this book is a little sudden. Like the prequel to this one, the main characters start a relationship suddenly and say “I love you” way too suddenly. Despite the quick pace of the romance, the romance was actually quite adorable and I think it’s a fantasy of every nurse or nurse-to-be to possibly fall in love with a doctor. The romance was adorable and the idea of it was really romantic. The author improved on her previous one and did pretty well with this romance. The storyline was kind of neat. A Civil War nurse falls in love with her boss, a doctor, but just when life seems bright a man threatens her because of her herbal remedies. The execution was a little bit less exciting than the idea, but considering how difficult it is to mesh two different genres into one, the execution was pretty good. I’ve only read two books by this author, but out of those two this one has the better storyline. Obviously from the synopsis, this book has a little bit of suspense in it. It seems to be there only to add a bit of conflict and to keep you more interested in what would’ve been a fairly conflict-less storyline. Considering that, the culprit is fairly easy to figure out because there is only a handful of people it could be and most of them wouldn’t do that to Rosemary. This suspense was pretty good for a background side conflict. This author captured my attention with the first book in this series and though she still isn’t at the top of my favorites list she is on my list of authors to watch and she is slowly getting toward that list. This is an author that’s growing on me slowly and is one that I have to get used to their writing style, but I do enjoy her books and will read more from her and definitely finish this series. Overall, this is an enjoyable read but the romance seems sudden and the suspense is easy to figure out. 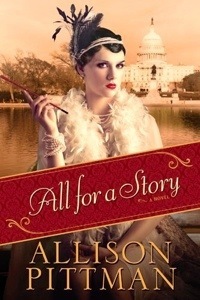 This book is perfect for historical romance lovers who like a less passionate read. I think this book can be read by adults and teens. I give this book a three and a half out of five. Callie Kincaid came out west with nothing except the clothes on her and her son’s backs and she’s determined either chase down her runaway husband or find shelter with his brothers. However, her plan doesn’t work quite the way she intended. Within a few minutes of entering the west she’s engaged in a shoot out and is now injured and at the mercy of none other than her husband! Years ago Seth Kincaid survived a fire that altered his life forever and then he went war and came back crazier than ever. There are pieces to his past that he doesn’t remember, but you would think he would remember having a wife let alone a son! However, he doesn’t and his newly discovered wife doesn’t seem to happy about that. 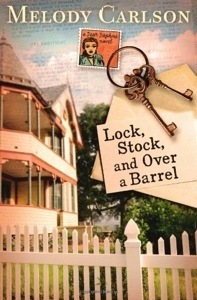 Seth wants nothing more than to start over and make amends, but Callie just wants to shoot him. Now Seth has to convince her that he’s different and worthy of trust. The more time Callie and Seth spend together the more the attraction that Callie can’t forget and Seth wants to remember comes roaring back and Callie is finding it difficult to not trust the man she married. Seth wants nothing more than to be the husband and father he couldn’t have been as I’ll as he was, but convincing Callie that he’s different is going to test everything he knows and possibly show him he isn’t as different as he once thought. Will Callie be able to forgive the past and move on with her husband or will she spend her life alone because of her lack of mercy? Will Seth be able to prove that he’s different than the man that walked out on her or will he lose the best thing that ever happened to him? Will Callie and Seth find that the love that they felt for each other is gone or never really existed at all or will they find that the love they felt for each other is still there and as strong as ever? Will this Kincaid family end on a happy note or a sad one? Having never read the first two books in this series, I didn’t know what to expect and I was hoping that this wasn’t a continuation series. Thankfully, the series isn’t a continuation series but there are aspects that can get confusing at times. Also, though the book wasn’t terrible, it wasn’t fantastic either. There seemed to be some scenes that were continued from the previous two books and at times, some of those scenes are a little too unrealistic. Having started this book with no real expectations, I wasn’t really surprised by the outcome or execution of the novel. The storyline of this book is solid, though at times too unrealistic. I liked the action scenes of the novel, though they seemed a little unrealistic, at least the beginning did. The bullets flew with very few reloads on either side and the heroine was concerned with conserving bullets for her husband one minute and the next she’s firing blindly into the bushes! I also felt it odd that Seth can’t remember anything about his wife or their brief time together until all of a sudden. Though I know that happens, it seemed a little too sudden in this book. I did like the direction this book wanted to go, though. It was a nice storyline if it didn’t seem too rose-colored. I mean what person goes through a shoot-out in a stagecoach without getting hit with a real bullet? The romance in this novel was actually nice. It had some passion, which I prefer, but not too much to seem like the author was trying too hard to force it. Most of the romance revolved around him not remembering but knowing that what he was feeling wasn’t something that was new. I didn’t like how angry Callie got when Seth tried to figure stuff out about her. I would imagine that if you loved a man and he suddenly forgot you, you would do almost anything to help him remember. Callie was just mad that he didn’t remember. The more emotional or intimate scenes were sweet and I wished that there were more of them. This romance had the makings of a special one but kind of fell short where it mattered. The hero and heroine were a tad bit hard to feel sorry for or feel for because Callie was completely unforgiving toward her husband and unwilling to help him remember anything about their life together and Seth is so busy convincing people that he’s changed that he doesn’t stop to consider that maybe he hasn’t. The worst part of that though is that we’re not really given any proof that he has changed just that he says he has. There is a lot that prevented me to getting into the characters, mostly the women of the book and that made the book suffer. This book wasn’t bad, it just wasn’t what I usually get in a romance or historical and I’m not sure that’s a compliment. Though I loved the premise of the story, I didn’t love the execution and felt that the story really didn’t follow the path of the synopsis and had major twists that weren’t even hinted at in the synopsis. 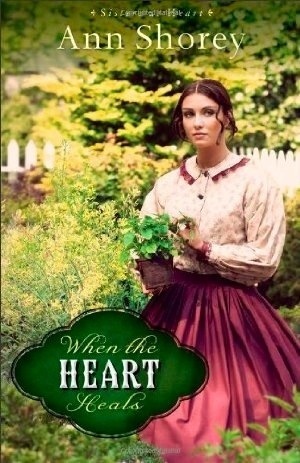 Though, I wasn’t completely satisfied with this book, I feel like the author is right on the edge of a good western romance, if she improves just a little, and because of that I do plan on reading more from this author, just with less gusto than I read this book. Overall, it’s you’re average romance but a slightly lower quality action. 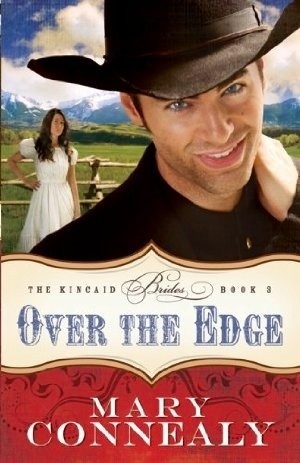 It’s perfect for a person who loves western romances with a little action and suspense. I think that adults and older teens could read this without much trouble, but it probably shouldn’t be handed to anyone much younger than that. I give this book a three out of five.